August 2016 - Touch Display Research, Inc. Here is a nice article written by Anita Balakrishnan from CNBC on August, 25th, 2016. Touch Display Research is quoted in the article regarding OLED displays, Apple and Samsung. This entry was posted in AMOLED, Displays, Flexible OLED, OLED and tagged AMOLED, Anita Balakrishnan, Apple, CNBC, Colegrove, curved AMOLED, flexible OLED, Samsung on August 30, 2016 by jennycolegrove. Today, MyScript, a pioneering market leader in accurate, high-performance handwriting recognition and digital ink management technology, announces the launch of Nebo, a brand new notetaking app that showcases the power of its leading-edge Interactive Ink technology. Recently, I had a chance to interview my old industry friend, Mr. Gary Baum, VP of Marketing at MyScript. He introduced that the name of the app—Nebo—is the name of the god of writing in Babylonia. Nebo enables tablet users with active pens to write and edit their handwritten notes in real-time. Now, users can write complex mathematical equations, draw diagrams, sketch pictures and instantly convert to digital form for sharing, searching and storage. All of Nebo’s real-time digitized content – text, diagrams and mathematical equations – is editable with the stylus alone, providing for ease-of-use and productivity gains previously not possible with digital handwriting. Nebo works on many active pen devices, such as those from Microsoft, or Apple. In the recently published “Active Pen Technologies, Supply Chain and Market Forecast Report (Second Edition),” Touch Display Research Inc., an independent market research and consulting firm, analyzes more than twenty digital pen technologies, which include thirteen active pen technologies and eight passive pen technologies. Touch Display Research forecasts active pen writing module (includes pen sensor, pen and controller IC) revenue will reach $6.1 billion in 2021, from $2.9 billion in 2016. Touch Display Research defines active pen as a pen with an electronic circuit. Some active pens have an integrated battery in it, and others don’t. A passive pen has neither an electronic circuit nor a battery. The “Active Pen Technologies and Market Forecast 2016 Report” is available immediately and includes a PowerPoint file of over 270 pages and an Excel database. This entry was posted in Active Pen and tagged active pen, active pen 2016 report, Active Pen market forecast, MyScript, nebo on August 9, 2016 by jennycolegrove. I just returned from the International Liquid Crystal Conference (ILCC) 2016. I’m honored to be invited to give a presentation at this conference, and especially at Kent State University, which is my home University. 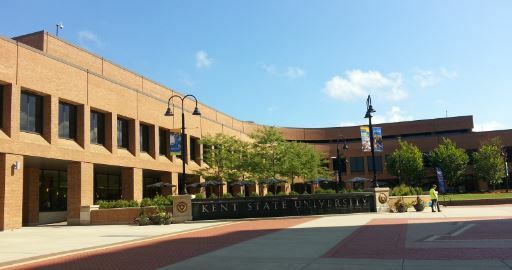 Kent State University has changed a lot since I graduated with a Ph.D. in the year 2000. Many science buildings and dormitory buildings have been added. The Kent Student Center, the Library and the plaza in between had been remodeled. The ILCC is very successful with about 700 attendees this year. 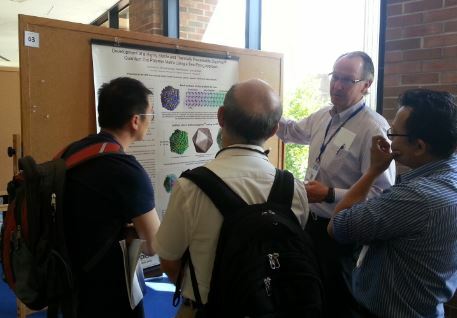 It is the largest academic meeting in the field of liquid crystals, held biennially under the auspices of the International Liquid Crystal Society. 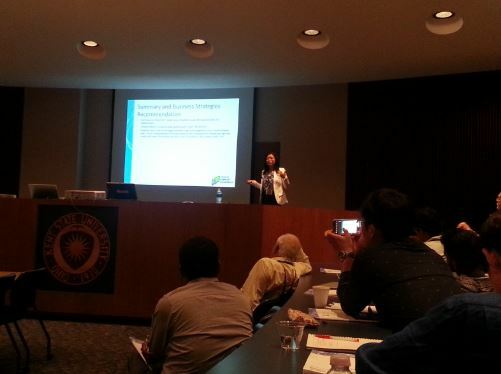 Quantum dot is a hot topic in this year’s ILCC. In my presentation about display market, I discussed several new opportunities: flexible and curved displays, and quantum dot displays. At ILCC 2016, Crystalplex showcased their SapphireTM Quantum Dots, which they claim is air-stable quantum dots. Figure 3. Crystalplex at ILCC 2016. Merck is also entering quantum dot field by signing a distribution agreement with Nanoco this week. In the recently published “Quantum Dot 2016 Report (Third Edition),” Touch Display Research surveyed many quantum dot suppliers, display manufacturers and OEMs, and analyzed and forecasted the quantum dot display component market with detail of material type and form factor. This report profiles over 80 companies working on quantum dot materials and quantum dot components. Touch Display Research forecasts the overall QD display component and lighting and QLED market will surpass $2 billion by 2017, and reach $10.8 billion by 2026. This entry was posted in Conference Review, Displays, Quantum dot and tagged Crystalplex, ILCC 2016, International Liquid Crystal Conference, Kent State University, Liquid Crystal, Merck, Nanoco, quantum dot, quantum dot display on August 4, 2016 by jennycolegrove.